I’ve been feeling quite in the state to start to unwind from the busy couple of months. When I am seeking comfort I simply open a book or slip into relaxation of a bit of TLC beauty therapy and start eating extra healthy with a bit of chocolate. This year is going too quick! Last weekend I decided after all the years (well only three) since the film came out and watching it at the cinema ‘The Great Gatsby’ with Leonardo DiiCapro, Carey Mulligan, Tobey Maguire playing the three main characters from the classic American fiction novel written by F. Scott Fitzgerald. I decided to officially buy the book. Throughout the film I just love that scene when Daisy and Nick have a tour from Gatsby around his house with Lana Del Ray ‘Young and Beautiful’ splaying in the background. How beautiful? Almost how emotionally sad? I felt I had to buy the book in order to read and learn the real storyline of the classic novel. I bought the book in hardback which happens with the books I buy. Personally when it comes to books I usually only by them if they are a classic, unique, or limited edition. The Great Gatsby to me just remembers of how I can daydream whilst, noticing that if you aim high you will or not succeed but along, the way you will work hard at achieving that goal. That phrase can be seen in the novel through the American Dream which is reflected through Gatsby’s childhood and life. If you haven’t heard of the book. The Great Gatsby is about the fictional characters who live in the fictional town of West Egg on Long Island within the 20’s and is narrated by Nick Carraway, who becomes part of this world by accident through just renting a small house next-door to Gatsby’s for $80 a month. From there he is captured in the moment of regular large weekend parties held at Gatsby’s. Which are very intimate according to Jordan Baker (one of the cast of characters in the novel). Carraway gets to know about Gatsby and his dark secret whilst, the novel is one of those novels which features the greatest love story of all time. Which is rare for any book to have in it however, you can compare The Great Gatsby too Romeo and Juliet too. 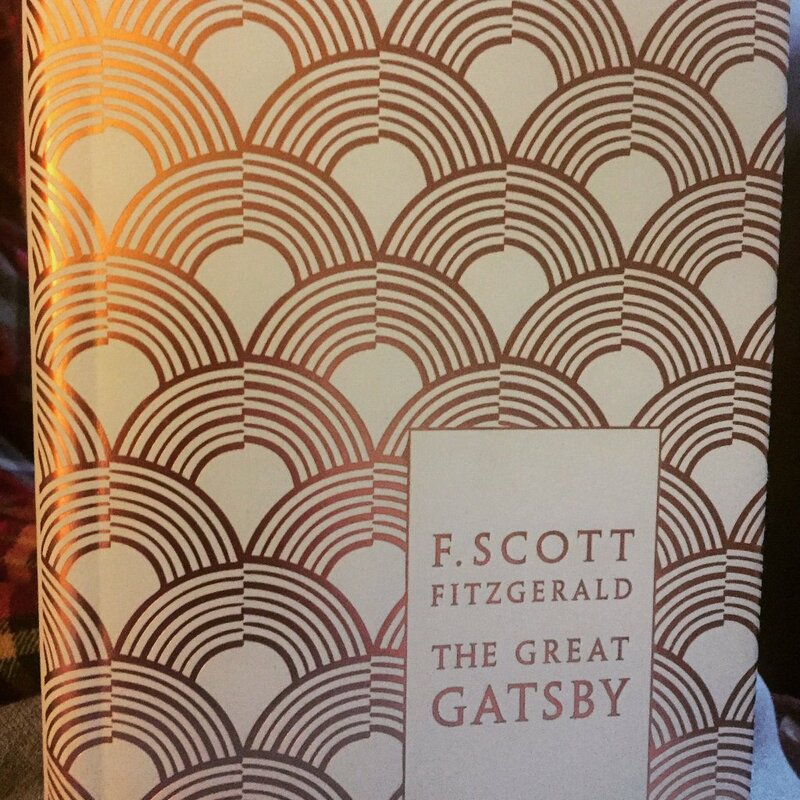 The novel by Fitzgerald can almost be classed to be a book which is depressing because, of the way Gatsby has achieved so much to the point he’ll never give up on reaching his goal nor stop recreating the good times in the past. The ending concludes with a sad ending which just sees Gatsby’s dreams slip away so easily even though he was still young. It’s a book and film which I’ll always love to watch and read wherever I am.